3 Essential oils to help with Muscle Recovery - Amphora Aromatics Ltd – Supplier of pure essential oils and aromatherapy Products. July certainly seems to be a very sport centred month. Summer is in full swing, the Tour de France is underway and many of us are celebrating the success of the Wimbledon championships! Many of us may feel inspired at this time of year to get out and about whether on our bikes, on the tennis courts or simply making the most of the sunshine with a stroll in the park. 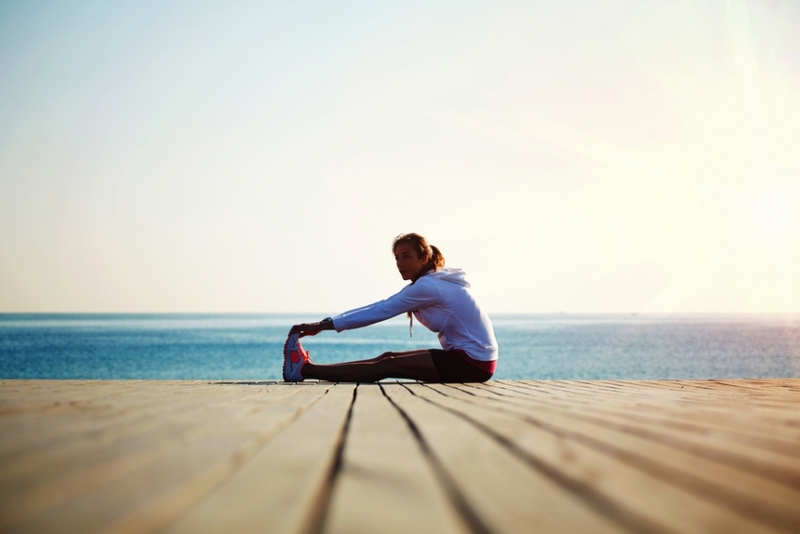 It’s important to ensure we’re taking care to stretch after exercising, allow ourselves rest days and keep well hydrated if exercising out in the heat. What’s more, we can help our muscles to recover naturally with the use of essential oils. You can enjoy an aromatherapy bath or dilute with a carrier oil and massage over any effected areas post workout. Here are our top 3 essential oils for using post workout! Sweet Marjoram oil has long been used in massage for its warming and soothing effects which help to offer muscular pain relief. Marjoram is also a very relaxing oil, often used to help people with mild insomnia and reduce stress levels. Add a few drops to an evening bath to help soothe the joints and aid a good night’s sleep before a sports event you may be taking part in. Top Tip: Try adding 3 drops Marjoram, 5 drops Lavender and a cup of Epsom Salts to a warm bath. A wonderful oil to use both before and after a workout. The refreshing scent of Eucalyptus can help open the airways, allowing you to take better control of your breathing during exercise. Post work out, it works wonders being massaged over the muscles to help them recover and soothe inflammation. Top Tip: Blend 10 drops Eucalyptus and 10 drops of Peppermint in 100ml of 1 part distilled water and 1 part Witch Hazel for a workout spray to take with you to the gym. Black Pepper is a powerful oil! Only a small amount of this oil is needed. It is well known for its warming effects which help promote circulation in the body. His can help soothe any aches and pains, whilst helping improve the recovery time. Top Tip: Try blending with Grapefruit essential oil for an energizing scent that can be used both prior to and after a workout. Always dilute with a carrier oil before applying to the skin. Thank you for reading. Keep up to date with our Facebook, Twitter and Instagram for more free tips, advice and competitions.